This monograph reviews the updated models of the influence of earthquake (EQ) preparation processes on the state of near-ground atmosphere and the ionosphere through the electric field and currents occurring in the global atmosphere–ionosphere electric circuit. An extensive comparison of results of satellite- and ground-based observations of DC electric fields, plasma parameters and electromagnetic wave perturbations prior to an EQ is made as a validation criterion of the models. 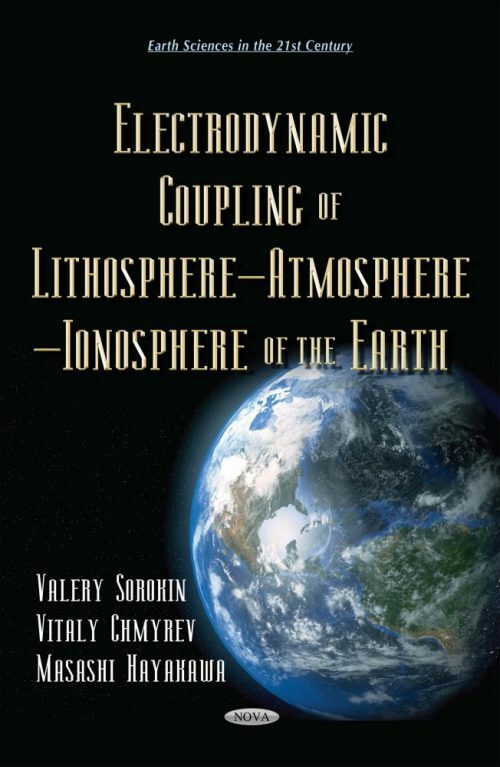 It is shown that the most complete explanation of pre-EQ phenomena excited in the ionosphere and atmosphere and their interconnection can be provided by our electrodynamic model based on DC electric field generation due to the injection of charged aerosols into the atmosphere. An important feature of this model is that various EQ precursors are shown to be attributed just to a single cause, namely a perturbation of the conductivity electric current in the global circuit by the injection of charged aerosols into the atmosphere during seismic activity enhancement. This book is dedicated to scientists and researchers working in the field of atmospheric and ionospheric effects of large-scale natural and technological disasters. It also analyzes the development of methods for their forecasting with the use of space, aerial and ground-based observations. It will also be of potential interest to students specializing in space science and physics of the atmosphere as well as the lithosphere-atmosphere-ionosphere coupling.